As we head into cold and flu season, families in Fairfax County have another thing to be worried about: measles. A child was diagnosed with the disease recently, and county officials are worried that other immuno-suppressed children may have been exposed to the illness in doctor's office waiting rooms. The child was too young to be fully vaccinated against the measles and had only received one dose of the MMR vaccine. The individual is a child who was treated at Inova Fairfax Medical Campus, but the child is no longer contagious, health officials said. While the child was age-appropriately vaccinated with one dose of the measles, mumps and rubella vaccine, it takes two doses of the vaccine to provide full protection against measles. 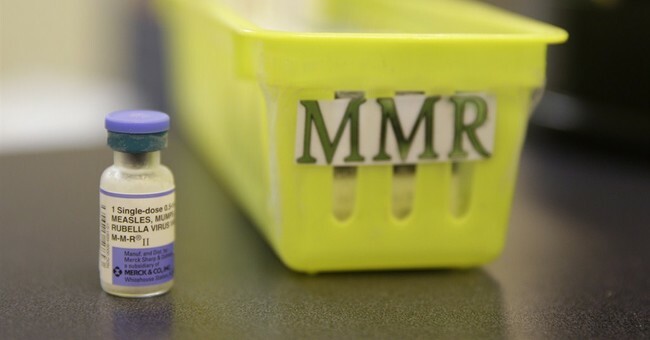 The child was at several locations in Fairfax County in the past week and could have exposed others to the measles virus. Health officials are attempting to notify anyone who may have been exposed while the patient was infectious to prevent further spread of measles. Fairfax County has one of the lowest vaccination rates in the state, with 82 percent of children receiving all vaccines. This is below the herd immunity rate of 90 to 95 percent. Vaccinations are important to ensure that eradicated diseases stay eradicated. Measles cases are on the rise in this country due to parents refusing to vaccinate their children. While measles isn't life-threatening for many children, it has the potential to cause brain damage, blindness, and death in others.